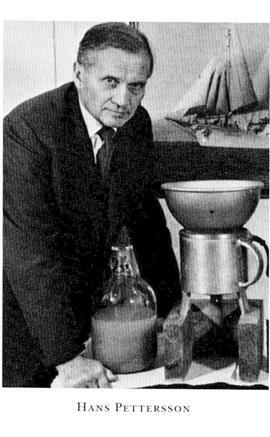 Professor Hans Pettersson (1888-1966), was a renowned Swedish scientist, who became the first full professor of oceanography in Sweden and in 1938 founded the Institute of Oceanography in Gothenburg. Thorwald C. Franke has written a short paper(b) on Pettersson’s important contribution to the Atlantis debates, offering scientific reasons for dismissing the idea of Atlantis being located in the Atlantic. In the process he refuted the earlier theories of Pierre Termier and demolished the idea of transatlantic land bridges. Although he has excluded the Atlantic, he is equally unhappy with a Mediterranean location, preferring not to accept the Atlantis story as history. He published his views, in Swedish, in 1944 as Atlantis och Atlanten, which was subsequently translated into German by another physicist, Stefan Meyer, entitled Atlantis und Atlantik.